This engine provides good low end torque and delivers. Spares are common and easy to get hold of making the petrol model a reliable and cost effective alternative to the Diesel Engined unit. 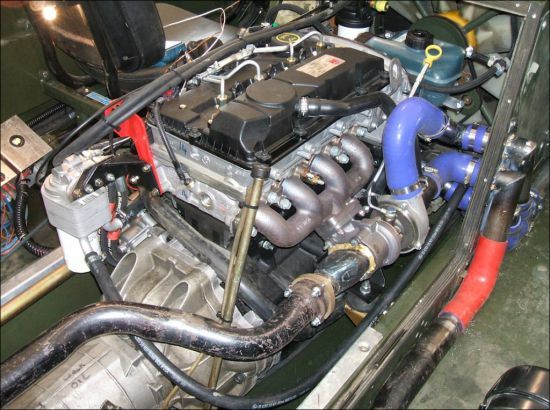 With the lack of available Mercedes Powered BV's in the marketplace we have take the step of introducing a re-engining program which involves replacing the Ford V6 Powerplant with a NEW Ford Turbo Diesel Powerplant (Derivitive of the Ford Transit Engine). The engine sits between the driver and the front seat passenger under a noise dampening engine cover. With a dramatic reduction in the number of available Mercedes Powered Diesel BV's coming out of military hands we took the step of working closely with Ford in the development of a replacement engine which could be used in place of the V6 Petrol powerplant thereby providing us with a supply of Diesel Engined machines to rival if not better the older Mercedes Powered units. 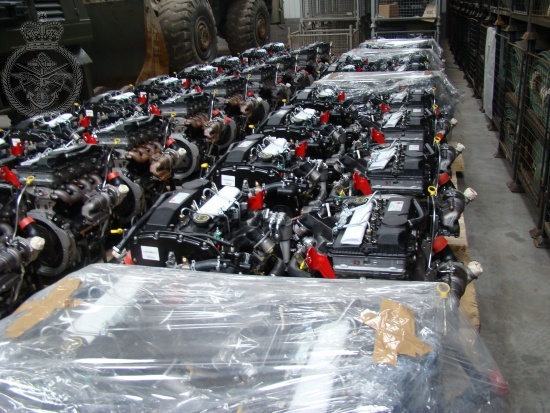 This NEW ford Diesel Engine was selected specifically for the role of replacing the Petrol Engine due to it's simple design and lack of complicated electrical components which could be susceptible to the influence of water ingress when the vehicle us being used in it's amphibious capacity. 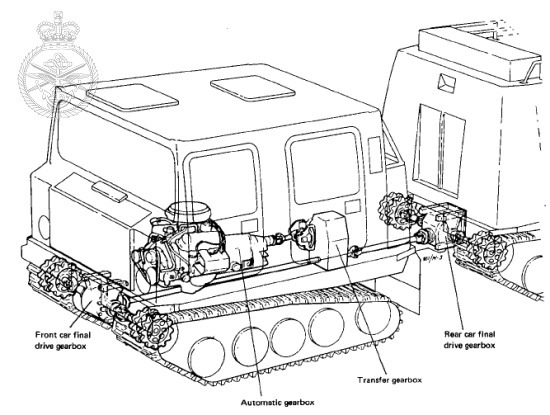 The engine went through a substantial program of testing to ensure serviceability and longevity with the vehicle being subjected to the task of carrying heavy loads for long periods. Because we are replacing the Petrol Engines with these New Diesel Powerplants, there are several additional factors which we have had to take into account. The main factor being the cooling for the engine which has necessitated some modification to the cowling and the ducting from the radiator, this again is something which has been resolved through working closely with the OEM. Along with the Ford V6 Petrol Engined BV206, HAGGLUND also produced a Diesel engined version using a 5 Cyclinder in-line Diesel Engine. The diesel engine being less susceptible to the influences of water ingress during amphibious duties has proven to be the more popular choice for overseas customers where water is a factor in the day to day operations of the vehicle. Unfortunately the Mercedes powered machines have become rare in number which is why we have entered into a program of re-engining the Petrol Model using a brand new Turbo Diesel Powerplant. There are two versions of the Mercedes powered BV206 being the 5 Cylinder and the 6 Cylinder Model. The latter remains the current workhorse of the military and is very rarely seen in the civilian workplace. The most noticeable difference between the Petrol and Diesel Models is the Air Filter Box on the front of the vehicle as shown opposite.